I suppose to post this a few weeks back but I was way too busy with my thesis. Sorry, Mr. Kors. 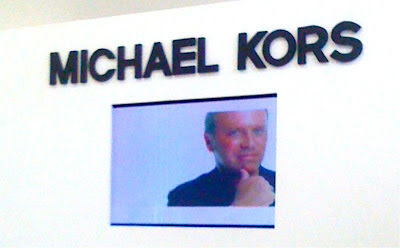 *grin* So I was invited to Michael Kors media presentation at Sentral Senayan building to see MK's latest fall/winter 2012 collection. As you can see on the pics above, that tweed feathers dress and the shoes are totally rad. Hands down. I really need to get myself a pair as soon as they're on sale. Those shoes are so fierce!